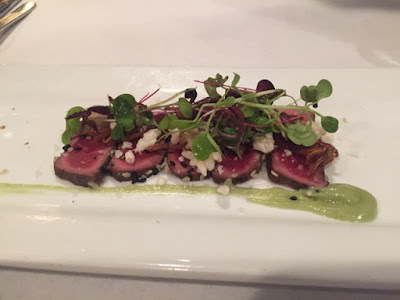 Eat Up New England has always wanted to check out celebrity chef Ming Tsai's Blue Ginger in Wellesley, Massachusetts. Dine Out Boston was the perfect excuse to stop by for lunch today. For an app, I enjoyed their beef tataki and shiitakes. It's served with just enough wasabi. It's complementary, not over-powering. 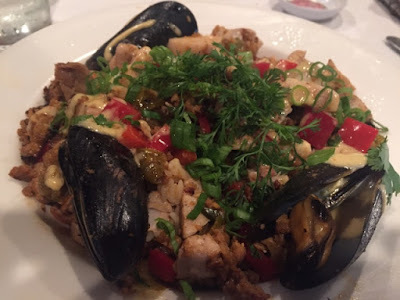 I LOVED the spicy paella with house chorizo entree. It's served with several mussels and their wicked good chorizo. What an amazing dish! 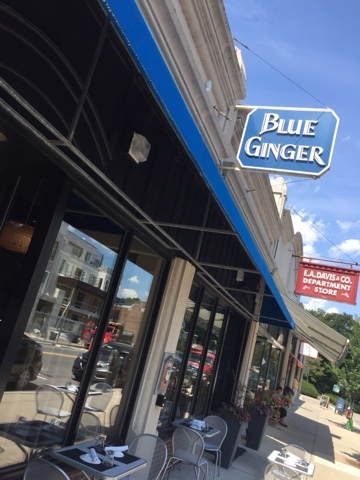 For lunch, Blue Ginger is serving a 2-course menu for $20. 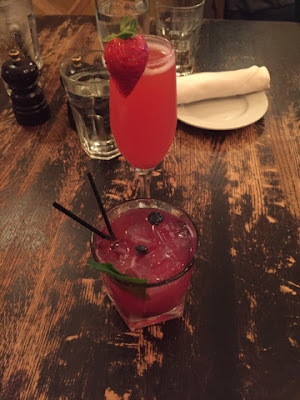 Add dessert for $25. Three course dinners are $38. The chef will also make up a vegetarian option.